An innovative healthcare market research company with a product unlike that any other on the market is seeking sales representatives to sell the service to hedge funds and other buy-side investors. The service is already being rapidly adopted by pharma and medical device companies. The service is less expensive that other market research and faster, and is a straightforward sell. Ideal candidate has prior experience selling market research or other services to hedge funds. If you know any folks who might be interested, please let them know about this opportunity. When I went through this a year ago, the cost-effective choice was freelancers. I'm using an extended cobra so am not on them, but my understanding at the time was it's the same blue cross that I had under cobra, and only slightly higher than my cobra payments are. I plan to switch over once the cobra runs out. My wife and I were on both Liberty and Freedom - the big difference is the network. In the end, the question is which network the physicians you prefer are in. If you can do everything in the smaller network, Liberty is not a bad way to go. On the other hand, you need to weigh that against the price difference and how important it might be in the "what if" scenario. All hospitals take either plan (not sure about MSK or HSS, but all the others in NYC do). As for other options, the other major carriers in NY worth looking at are Aetna and Cigna. I had just one employee on Aetna a couple of years ago. She had no complaints, but I don't know much about it. I would avoid GHI because their provider rates are terrible, so no one wants to take them. I also don't know if Blue Cross offers a small business product, but they are a good carrier. We use HealthPass. I can't recall the qualifiers, but it's worth looking into if you haven't already. I outsource all of my benefits, including Health Insurance, to ADP Total Source. They get prices that no small business could get buying direct. Also, they do all of your benefits admin and provide a host of other services. The only catch is that you have to use ADP for your payroll. I suggest you contact Ken Krill of the Varsity Group who is a health insurance broker I've used for many years for my small biz health insurance. There is a difference between catastrophic coverage and having a very high deductible. I run a small firm and also have had some problems making exactly the same choice. The Freelancers program is really not a health insurance program. It sets a cap, should someone undergo a catastrophe, but I cannot seriously recommend it. Moreover, I am not clear how many physicians are willing to deal with their carrier or what true coverage anyone who makes claims on it can expect. I currently use the Oxford Freedom, but have now eliminated coverage for out-of-network providers, as the difference between the monthly premium paid and the amount I pay my out-of-network doctor when I pay him a visit made it much better for me to pay a lower premium and then pay such bills directly. That, of course, depends upon the doctors utilized, and their policy toward health insurance payments, as well as the relative health of the insured. We were on Oxford Liberty in 2009 - family of 5 (3 young kids). • We didn't incur any out-of-the-ordinary treatment/expenses so cannot speak to the coverage or level of service. • it was very expensive - we paid $2,700/month in 2009. Despite no unusual claims, they wanted to increase it to $3,200/month. I just moved my family from Oxford Freedom (paying $2250/mo for a $1,000 deductible and 80/20 for out of network). I thought the ins was outrageously expensive. I switched to Freelancers Ins PPO3 and now pay $890/mo for family of 4 ($16,000 deductible and 70/30 out of network). I dropped dental too as its not worth it in my calculations. Like you, I thought money was better in my pocket than having a lower deductible. So far, its been a month, we are happy enough. We seem to have a larger pool of doctors, surprisingly, than Oxford (meaning I was able to chose from the two top ENTs for my kid in Manhattan vs Oxford who only had 1 of the two on the Oxford plan). We stayed with all our same doctors as they take the Anthem Blue Cross Blue Shield (Freelancer's Ins). Copays are slightly more: $35 vs $25 for GP and $55 vs $40 for specialist. No pre cert required. Again, the $10/$15 more for a visit is meaningless when I save $1,360 per month. Calling Freelancers Union is fine - people are helpful enough. Can pay online which is nice - good web experience. Blue Cross Blue Shield of North Carolina was both the best value and the least expensive coverage that I found when looking for health insurance. I would venture to say that checking into Blue Cross Blue Shield of New York, might be worthwhile. They will show a financial model of why this makes sense. The trick is to stay in network. I believe that the savings in premiums more than outweigh the out of pocket in network doctor fees as you pay down your deductible. Ironically, I am in the same boat with having to look for group health insurance plans. The only difference wrinkle here is that I live in NJ so I know I cannot get the Freelancer's Union health insurance. So, I would appreciate you passing on any comments that you do receive on health insurance. Thanks and much appreciated given the not so little investment you need to make to have coverage these day. Seem to specialize in small businesses. We use Emblem, it's a 20k deductible for a family but the monthly cost is only $650. I believe their network is more limited than Oxford, I have no experience with their customer service. We have had the Oxford Liberty (gated/HMO) plan for the past 3 years. Haven't felt any constraints with respect to doctors although haven't had the need for any kinds of deep specialist to test depth of doctor pool. Plan covers employees in NYC and NJ. We have a zero deductible plan. Overall other than the fact that premiums have risen on average 20-40% per year the plan has been satisfactory. Let me know if you are looking for specifics. I have attached an overview of our program and benefits package for your review. We are also undergoing annual enrollment so these plans and rates will be good until the end of the year. Aetna has been our provider for the past ten years. I am available to answer any of your questions and look forward to hearing from you. OXHP Freedom, like almost all plans due to ObamaCare (not a political comment, just relaying facts) has moved from the UCR reimbursement method to X% of Medicare. From a 50,000 foot view this basically means if you used to go out of network and were responsible for ~33% now you will be responsible for ~67% (happy to deep dive on this and explain but for our current purpose I assume this is sufficient). Combine this with OXHP maintaining monthly premiums or slightly increasing them means if you like going out of network your costs have skyrocketed as your premiums are still high and your reimbursement got slashed. OXHP Liberty offers no out of network reimbursement. I have found few cases where I was limited in my choice of Drs compared to my wife's choices due to our differing networks. That being said, many of our old Drs, when we were on UHC, were no longer in-network when we switched to OXHP. As a point of reference UHC bought OXHP and rebranded it as UHC everywhere except the NY area as OXHP had a better brand name here. While only companies with 50+ employees are eligible for UHC, OXHP does small companies and competes with UHC on large companies. OXHP Liberty is limited to the NY area, if you travel everyone is out of network, which means no coverage as Liberty has no out of network coverage. OXHP Freedom has in network Drs around the country. Have never had a need to utilise them so don't know if the out of NY area network is robust, regardless they have out of network benefits so you aren't SOL. I have no direct experience with the Freelancer's insurance but it sounds like catastrophe insurance which is much cheaper but like home insurance something you don't use often if at all. Only way to bust through their out of pocket limits is to have some major accident and need surgery. I believe only 3 companies compete in the NY area in the 2+ employees small business space and OXHP is the best of the bunch. If its a family plan, check out Golden Rule (United Healthcare). I know - don't like the idea of the 800 pound gorilla. I looked at everything, and Golden Rule won. We are a family of six, kids age 8-16. $10k deductible, (HSA) - $588/ month. Pretty free to see who we want - but check out who's in the network before you sign up. Call if you want to discuss anything. 203-247-3312 - happy to share. I'm not an attorney, and I make no representation whatsoever that this template will pass legal muster or protect you. I highly encourage you to consult an attorney to draft a contract that meets the needs of your specific situation. I suggest you use this template only as a guide to some of the paragraphs, though by no means all, that ought to be included in a contract. Here is the presentation I gave last night at Columbia Business School. For those who attended, I particularly appreciate the critical feedback. I consider your feedback a gift, and I'll be taking it into account in revisions to this material should I be asked to give a talk like this again. We made an amateur audio and video recording of the talk, and I'll post those within the next few days once I have time to get them uploaded. You are welcome to share, reuse, and remix this material - a link back to Innovation Bootcamp would be a nice touch. Here is a PDF version. It is 6.4MB. The PPT version is below. You should not have to pay to download these files; please let me know if you have any problems downloading them. Click on the DOWNLOAD button, not the DocStoc button. You should not have to register with DocStoc. And here is a Powerpoint version. Note that this is ~11MB so may take longer to download. ... you've be placed on hold while you go to the drugstore and buy yourself a touchtone landline phone for ten dollars to join the modern world. Why is it that no matter how many times I agree to install the latest Adobe update, the next time I start my computer, I've got another update available? 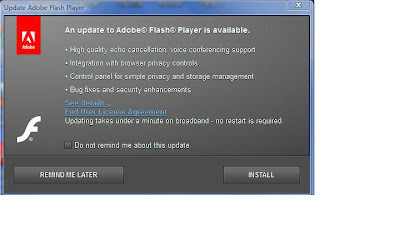 Does Adobe make an update every hour to their software? All it seems to do is read PDFs. How hard can that be? Why do I have to install something new every day? If there were another way to read PDFs and get rid of this Adobe Reader, I'd do it. An innovative healthcare market research firm with a patent-protected service unlike that offered by any other company today is seeking sales reps with experience selling to hedge funds and other financial services firms. So far, sales have been relatively easy once the company gets in front of a potential client. Clients immediately understand the value proposition, and the pricing is far below that of other types of market research. The only factor limiting sales to date has been bandwidth of the company's founder. The company is privately held and has been an an intense growth trajectory. Opportunity to generate substantial, uncapped, commission based revenue. Sales reps can work remotely and set their own hours. Include your cover letter IN THE BODY of your email, not as an attachment (honestly - we won't read it otherwise.). Attach your resume. Client believes the right candidate will have experience selling market research to hedge funds and other financial institutions. Healthcare industry experience is helpful but not absolutely required, as the product is very simple to explain. Very helpful is if you already have a deep network in the hedge fund industry. Went to FEDEX this week to send off a document. I wanted to include a prepaid overnight mailer so that the recipient would be able to ship it right back to me. The interaction with the sales rep (given below) was a lesson in how NOT to upsell, but the final lesson that I learned is: if you want to ship something with FEDEX, just open an account with them. All it takes is give them your ID and a credit card, and you immediately get 10% off list price. FEDEX Office sales rep: We don't have prepaid mailers. Me: Oh, OK, is there any way that I can make this happen? FEDEX: Well, do you have a FEDEX account? FEDEX: Then you'll have to put your credit card info on this mailer. Me: I'd rather not do that if I can help it, I mean, I don't know exactly who is going to see this mailer at the recipient. Is there any other way? FEDEX: You'd have to open an account. Me: Oh, OK, well, what would that take? FEDEX: Do you have an ID and a credit card? Me: Uh, yes. I usually do carry those with me. FEDEX: Okay, that's all it takes. I'll create an account for you right now. With an account, you'll actually save about two dollars on this mailer.